The purpose of this section is to provide the NRA High Power competitor with a quick reference for the most requested loading data. Although most of the data in this section is also found in other listings throughout the loading guide, some portions of this data were developed for inclusion only in this section. This section is broken down into three parts. The first is for the three service rifle cartridges; the 5.56mm, the 7.62x51mm and the .30-06. In developing the 5.56 data we used commercial cases. In the 7.62 and .30-06 we used military cases as these are best for the functioning of the service rifles used. The 55 grain FMJ data for the 5.56mm is the same as the data for the 55 grain Nosler SBT in the .223 Remington data. In our testing there was no discernable difference in pressure or velocity between these two bullets. 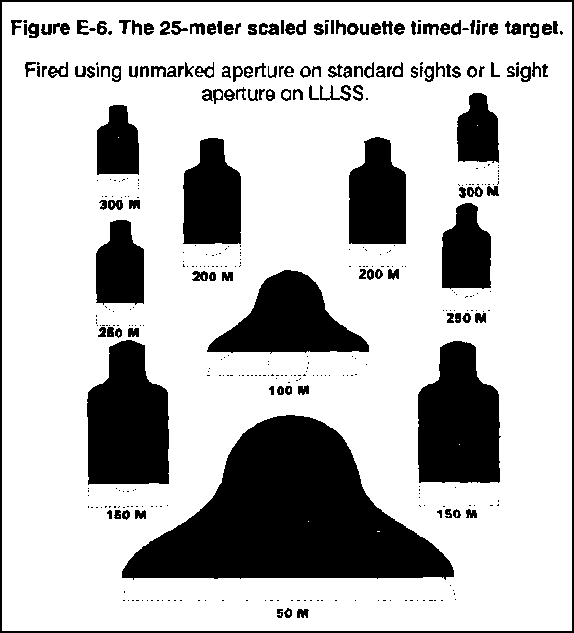 In the 5.56mm data pay particular attention to the loaded length for each bullet. The 69 grain Sierra will just fit in the AR-15 magazine as loaded and is suitable for the rapid fire portion of the National Match Course. The 80 grain Sierra is intended for single loading for the slow fire portion only. These latter bullets are intended for use in "quick twist" barrels. The data for the military 175 grain FMJ/BT match bullet in the 7.62 allows the shooter to duplicate the performance of the M118 Match and Special Ball ammo. The data for the 168 Sierra duplicates the performance of the M852 competitive cartridge. The data for the .30-06 duplicates the performance of the M2 load using the 150 grain bullet and the M72 match using the Sierra 168. The propellants listed are all compatible in burn speed with the gas system of the M1 Garand. The second part of this section deals with loading data for Long Range competition. We have included data for the .308 Win., the .30-06 and various .30 caliber magnums. The final part of this section covers data for Sierra's Palma Bullet. This data is provided for those competitors who fire in the Palma Match as well as for those who wish to use this bullet across the course. It should be especially popular with the Garand shooters. What loads are used for service rifle cometition?